We are inspired by the tireless efforts of our World Climate Ambassador, Florian Kapmeier, to ensure that World Climate becomes one of the tools for teaching climate change in high schools in Germany. 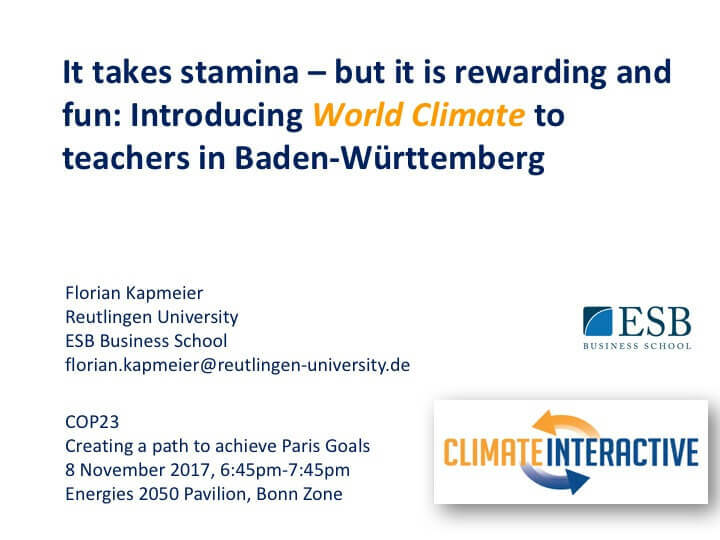 At a side-event at COP 23 in Bonn, Florian presented the outcome of this collaboration with the Ministry of Education of the State of Baden-Württemberg see slides below). The translated materials can be found on the Ministry’s website. 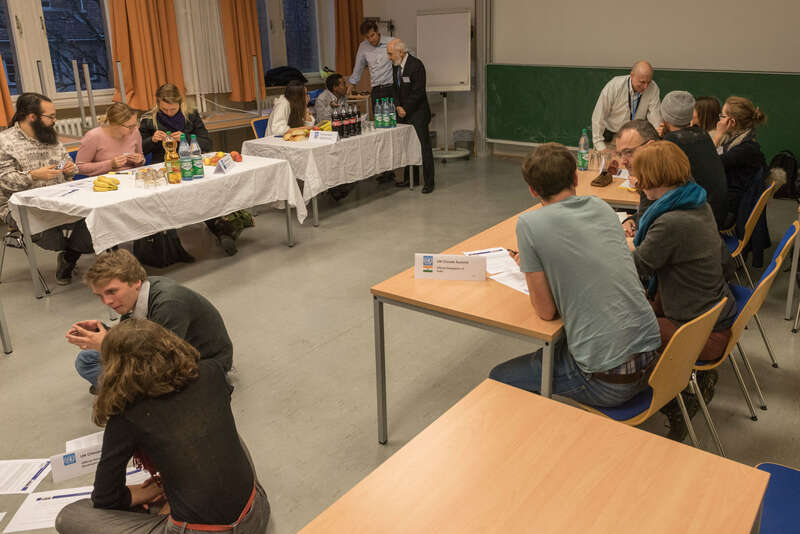 They have also been widely shared with various stakeholders across Germany including the national sustainability platform, the German UNESCO Commission, Greenpeace Germany, Ministry of Education of Northrhine Westfalia among others. Florian has also been running World Climate and World Energy with university students, teachers, sustainability opinion leaders among others. This is great news to the World Climate Community as it confirms our firm believe at Climate Interactive that indeed our interactive tools can be adapted by different actors to fit their needs for climate education, advocacy, research, development and many other facets of climate change action. We hope Florian’s effort will inspire you to seek ways of adapting and improving these freely materials for your audiences.